There’s nothing more feel-good and comforting than creating a cosy bedroom for yourself and snuggling down away from the cold bitter winds and icy rain. And with hygge being such a big trend at the moment it’s easier than ever to add cosy touches to your bedroom, make that warm relaxing nest to hide-out away from the world in. Cosy winter bedrooms need layers, think layers of textiles and cushions, layers of lights and extra treats, for added decadence. A cosy comfortable bed is essential, maybe your mattress needs replacing or you may fancy treating yourself to a new super comfy memory foam mattress. Then you need to think about snuggly soft bedding, flannel bedding works well for colder months. Cosy beds need dressing, add layers of sumptuous soft blankets, or snuggly velvet throws, scatter on some beautiful cushions, go for different sizes and textures, they’ll make you want to dive right in. Change your window dressings to thicker, less opaque curtains, they’ll help to insulate your bedroom as well as adding a feeling of snug. Think cosy soft pools of lighting, maybe add a string of fairy lights, or perhaps some beautiful candles or lanterns, to create intimate, low level lighting, just be sure not to leave lit candles unattended. Add a cosy, soft and fluffy rug right by your bed, so your feet nestle into it as you step out. 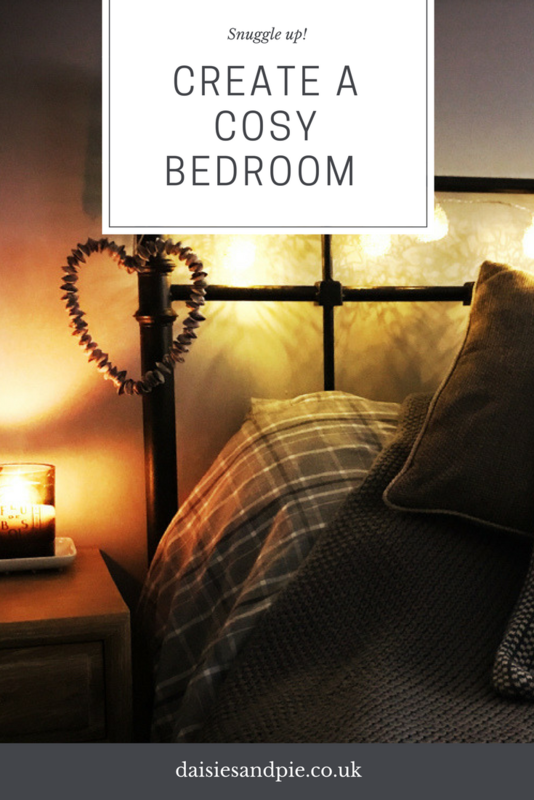 If you’re going to the trouble of making your bedroom into a cosy nest, you’ll be needing a few treats. Maybe a soft dressing gown, a box of deliciously indulgent truffles, a few good books or magazines to read. Maybe some lovey bath lotions and potions with relaxing scents. Disclaimer – Sponsored post on behalf of Fishpools, for full details of my disclosure policy read here.